In June 2019, NYC will be the host for WorldPride, which will be held for the first time ever in the US. The celebration will commemorate the 50th anniversary of the Stonewall Uprising and a half century of LGBTQ+ liberation. More than 3 million people are expected to attend. 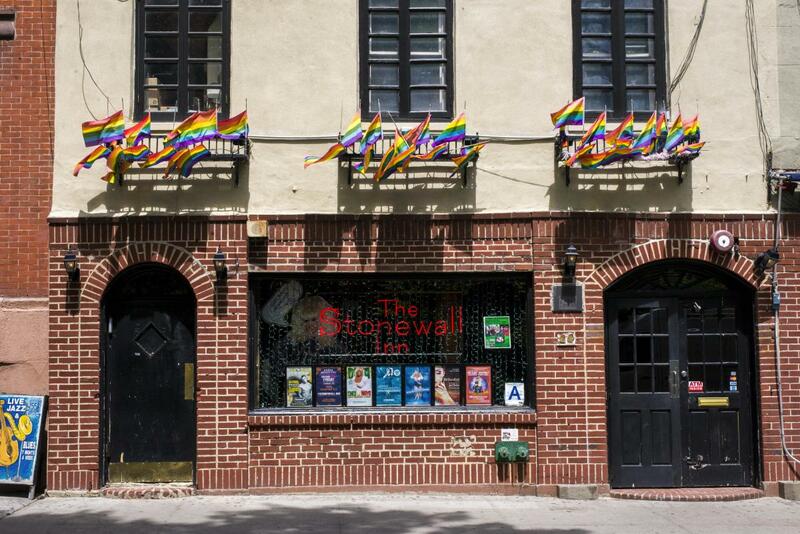 These historic sites are just a few of the cultural touchstones spread throughout the City’s five boroughs that hold special appeal for the global LGBTQ+ community and its allies. 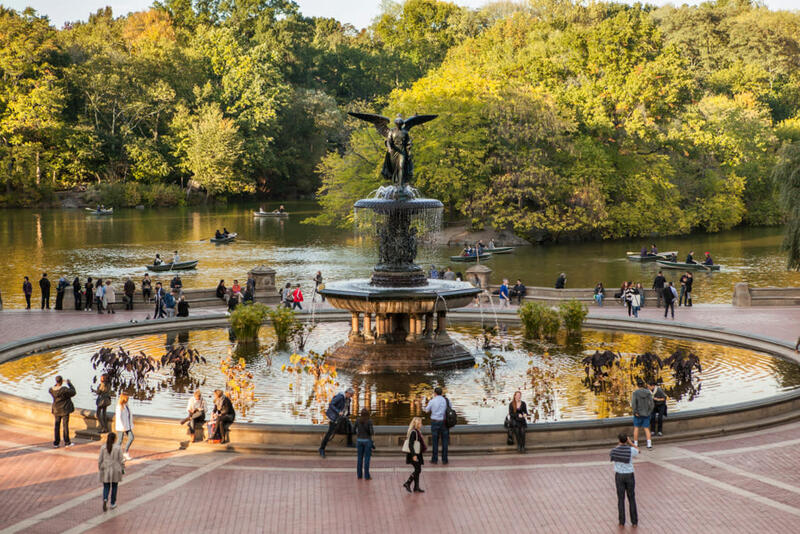 Nestled within Central Park near 72nd Street, this iconic fountain is topped by Angel of the Waters, an 1868 masterpiece by the lesbian sculptor Emma Stebbins. The fountain also served as the setting for the closing scene of Tony Kushner’s AIDS-themed play Angels in America. 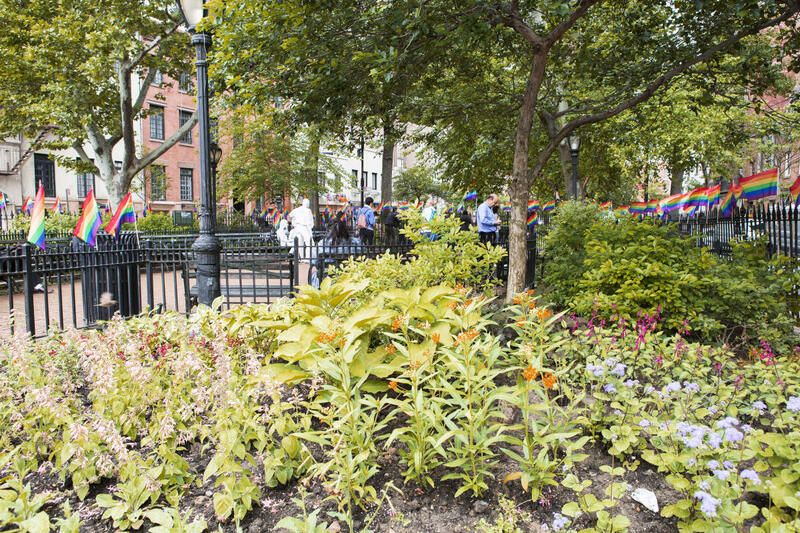 This triangular Greenwich Village park is where the Stonewall Uprising broke out in the summer of 1969, launching the modern gay civil rights movement. Christopher Park is also where crowds gathered to celebrate the federal legalization of gay marriage in 2015, and the area continues to host demonstrations for civil rights and against intolerance. The oldest continually operating gay bar in New York City, this West Village watering hole is known for great burgers and presenting a variety of regular events, including filmmaker John Cameron Mitchell’s (Hedwig and the Angry Inch) monthly Mattachine party. One of the leading figures of the Harlem Renaissance, activist and poet Langston Hughes lived on the top floor of a Harlem row house that has now been transformed into the I, Too Arts Collective, a nonprofit dedicated to the arts and the community of Harlem. The institution is home to the Langston Hughes Creative Writing Institute and holds readings, poetry salons, a creative conversations series and a monthly social. Housed in a renovated school, this West Village mainstay is the heart and home of NYC’s LGBTQ+ community. The center holds regular events that will inspire your clients while they’re in town. 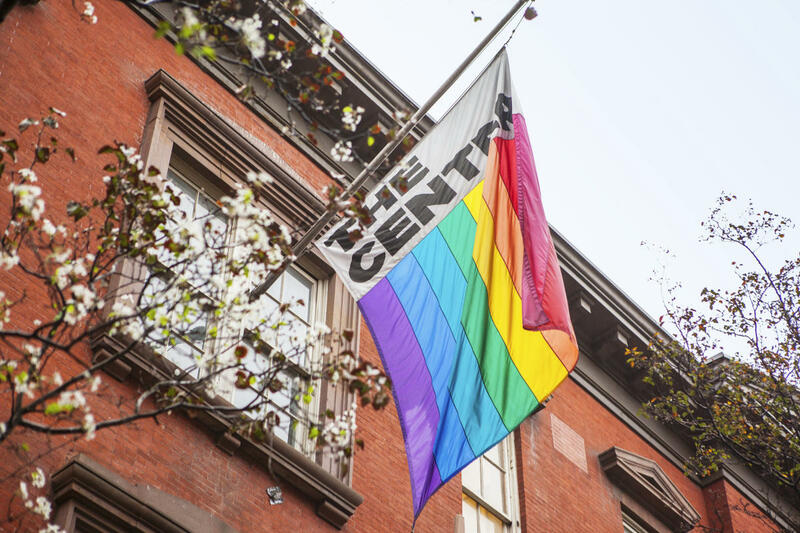 Designed to preserve LGBTQ+ identity while building community, this Soho museum displays works from a collection of 30,000 objects that span three centuries of queer art, including pieces by the likes of Berenice Abbott, Peter Hujar and George Platt Lynes. The name of this West Village gay bar instantly evokes the 1969 rebellion that cemented its place in history. Although no longer a site of social upheaval, the watering hole’s energy and sense of inclusiveness are still remarkable. It’s a convivial place to raise a glass any night of the week. Near the entrance, a “This is a raided premises” sign greets visitors as a nod to those who came before. 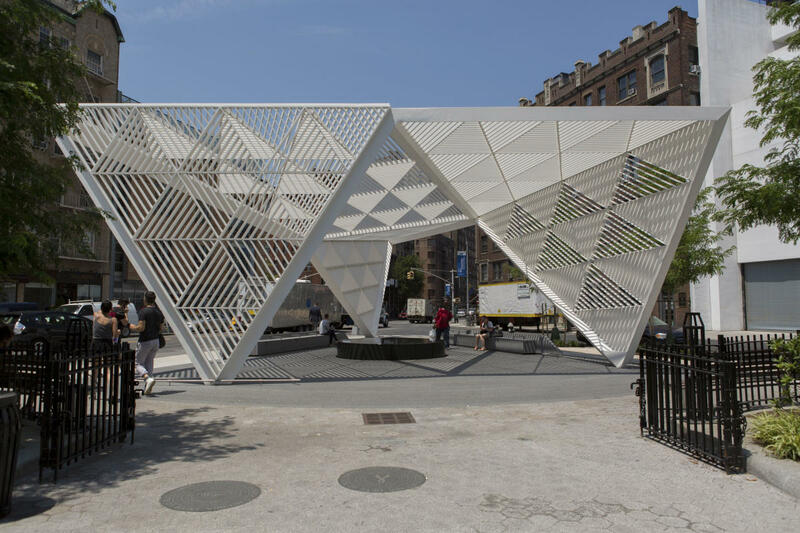 Throughout 2019, a number of events and exhibitions will be taking place at New York City’s cultural institutions. For more details, see our Year of Pride calendar.